In a sense, Denzel Washington and Robert Zemeckis have always been two peas in a pod. While both have made substantial contributions to popular cinema over the past 30 years, they’ve also always been their own worst enemies. Robert Zemeckis has a filmography full of all-time favorites, yet his Achilles heel has always been his lack of a distinctive filmmaking style. Denzel is a movie star in the classic sense, complete with an iconic persona. His problem has always been his ability (or lack thereof) to choose films which are worthy of his monumental acting talents. While a collaboration between these two might not remedy their perceived flaws, it still might yield something well worth watching. 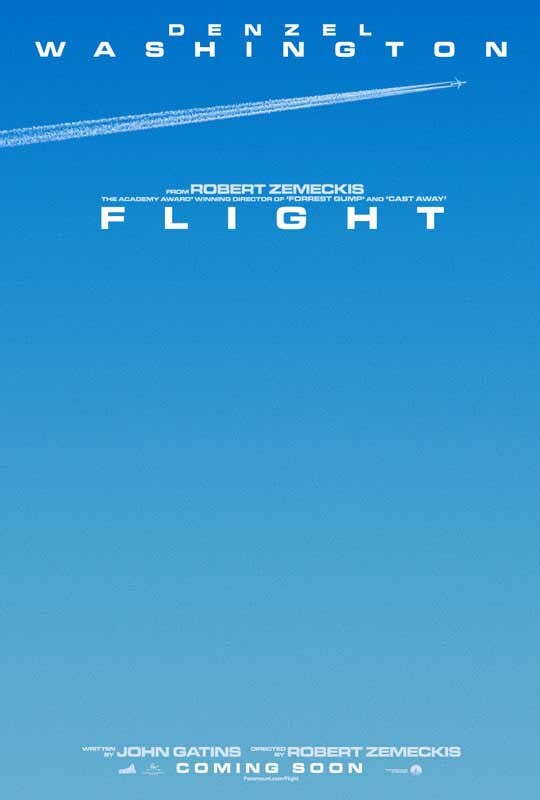 In Flight, Denzel Washington plays veteran airline pilot Whip Whitaker. When a seemingly routine flight threatens to become a disaster of epic proportions, Whitaker uses his skills as pilot to deliver both passengers and crew from the clutches of certain death. He’s hailed as a hero by the press, until a subsequent FAA investigation unearths his personal demons for the entire world to see. He then must fight to clear his name, lest his reward for saving lives becomes a lifetime in prison. The trailer is filled with some downright stunning images, the most jaw-dropping of which is the sight of a commercial airliner flying upside down while very close to the ground. There’s also an impressive supporting cast on display, which includes Don Cheadle and John Goodman. Then there is the use of the Rolling Stones immortal classic “Gimmie Shelter.” No trailer can possibly go wrong with that blaring on the soundtrack. 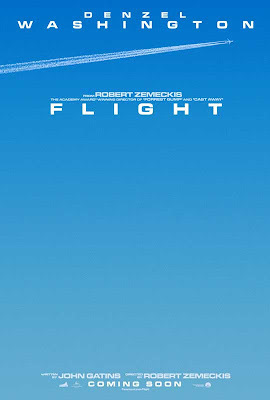 Flight has a good premise, a great cast, and a strong director. It might not end up being an all-time classic, but it looks a damn sight better than any one of Washington’s increasingly predictable collaborations with Tony Scott. Denzel can make even the worst films watchable. It’ll be nice to see him in something worthy of his presence.